Today's Daily Deal! 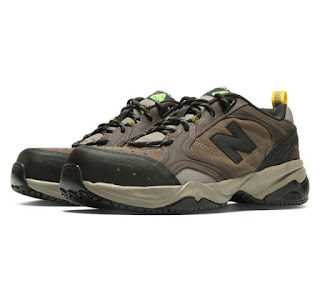 Save 64% on the Men's Steel Toe 627 Suede Now Only $39.99 + $1 shipping with code DOLLARSHIP at JoesNewBalanceOutlet.com! Offer valid Tuesday, 12/5. Get to work with the men's Steel Toe 627 suede shoe. Made to give you all-day comfort, everything about this shoe works overtime to protect your feet. The rugged outsole and overall fit offers lasting support, plus our Steel Toe provides protection like no other. Get the most out of your day with our durable men’s shoe that won’t weigh you down The men's Steel Toe 627 sneaker has a lot to offer. From the foam cushion, slip-resistant sole to the tempered steel toe cap, this men's shoe has your feet covered. Literally.